Students in Texas will soon have more than 200 high-quality e-books from Britannica Digital Learning to support their studies in language arts and science, Britannica announced today. Together the series includes a total of 222 titles concentrating on the primary grades. These collections will be added to the resources already provided by TexQuest, the statewide digital resources program that provides anytime, anywhere access to high-quality, authoritative digital resources to all educators and students in public schools and open-enrollment charter schools in Texas. Britannica School, a comprehensive K-12 classroom information resource, is already widely used under the program. This will provide great benefit to the students, teachers and families of Texas. They’ll have access to all titles 24/7, and by acquiring the collections on a subscription basis the state will be able to track usage and see which titles are most popular, which will help them address their future needs. Britannica has been in the forefront of non-fiction educational e-books for several years. All of the company’s e-books are correlated to curriculum standards, spanning PreK-12 through college. It makes e-books available in a variety of flexible ways, either on a subscription or purchase-to-own basis, and its collections are growing rapidly. The company currently has more 1,500 titles and will add a thousand more this year. 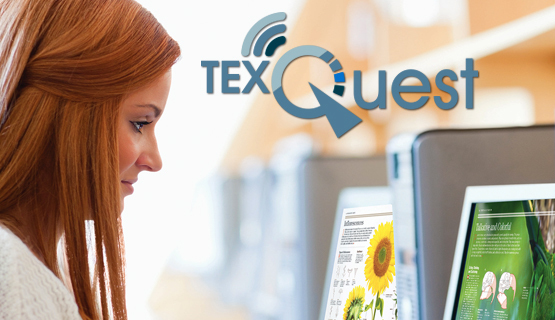 Britannica’s participation in TexQuest exemplifies the company’s effort to make knowledge widely available through convenient and affordable state-wide, province-wide and country-wide adoptions. Britannica’s agreements with national and local governments include many U.S. states, the Irish Ministry of Education; the Brazilian Ministry of Education; the Welsh Government, the Qatar Foundation; and the Icelandic Ministry of Education among others. Britannica Digital Learning (BDL) provides reliable, high-quality solutions to strenemengthen student achievt and educators’ ability to teach to best practice. BDL experts produce curriculum-aligned resources for all ages from elementary school to college that make creative and purposeful use of technologies widely used in schools today. Products include: Britannica School, Britannica Academic, Pathways: Science, ImageQuest, and e-books. BDL is a division of Encyclopædia Britannica, Inc., with headquarters in Chicago.